Carson Cars is a full service used car dealership that takes great pride in offering a vast selection of used vehicles. Not only is this a team that is ready and willing to get you behind the wheel of your choice in used Lexus cars for sale in Shoreline, but they can also be there to help you with regular maintenance and repairs in the future through their professional service department. We are a used car dealership that always likes to have a good number of vehicles on the lot at any given time for our customers to browse through. As a matter of fact, Carson Cars keeps at least 200 vehicles in stock at all times so that you always have plenty of options. When it is luxury that you are after, you will see that a new to you Lexus is a luxury that you can afford. All you need to to is talk with the in-house finance team at Carson Cars and you will have a chance to learn all about the best option for your budget and how you can enjoy an extended warranty. There should never be any hassles that you have to worry about when you need to buy a newer vehicle. Whether you have a trade in or you want to make a down payment in cash, our team of professionals will always work to make your buying process as easy as possible. 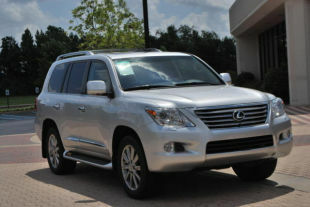 If you want only the best used Lexus cars for sale in Shoreline, visit Carson Cars. For luxury vehicles and auto financing options, call (855)583-9356 today! Take the time to take your new to you Lexus for a test drive so that you can see what affordable luxury is all about.